Farm tables, or farmhouse furniture looks rugged, warm and loved. 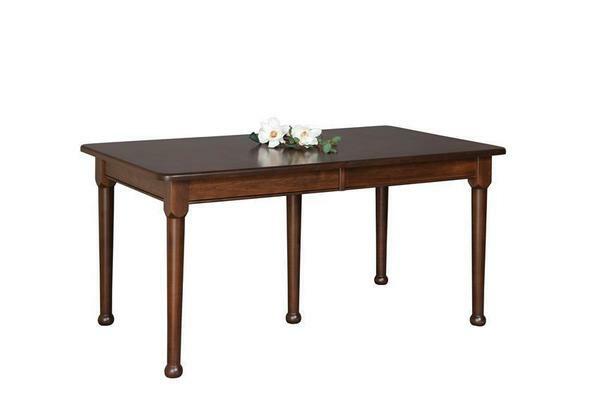 The Amish Small Rectangular Farm Table is handcrafted from solid wood. It's stable and strong and meant to host all your meals, just as a farmer's dining table is used. The size of this wood table is yours to choose, ranging from a small table to banquet table status with up to 12 extensions available. This farm table features wood slides, the original table slide. You can count on wood slides to support a lot of weight when you add extensions and wood slides will never rust. Amish furniture offers you options. Click on the features you'd like your new table to be built with or get in touch today for assistance from a Furniture Specialist. We can be reached by email or phone. Thank you for shopping DutchCrafters for your new dining table.